This is the view from the top of Taj tower where we at lunch. Actually, part of the view. 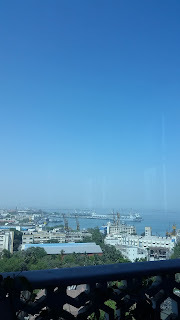 You can see the naval yard and how green Mumbai actually is.